I am happy to announce that MeBO Research has been accepted by the Legal Clinic Program of the College of Law of my Alma Mater, Florida International University, for pro-bono legal representation. They will advise us on how to best form an entity in the US with ties to MEBO Research, Limited by Guarantee Company registered in England, sharing the same mission. Under the supervision of faculty who are experienced legal practitioners, the program will represent us in registering MeBO, first as a company, and then as a 501(c)3 non-profit organization, so that we can proceed to pursue grants from renown Foundations to support research and treatment of TMAU, other FMO3 deficiencies and other metabolic causes of body odor, the genetics of body odor conditions, microbial causes of systemic odor (including but not limited to the digestive tract), diagnostic and therapeutic (odor management and mental health) possibilities including but not limited to the use of Medical Alert Service Dogs, and other such causes. John Little, Attorney at Law, Adjunct Clinical Professor, will be the supervising attorney for our case. After finalizing the formation of this 501(c)3 non-profit organization in the US, I will then apply to the FIU College of Business Clinic to see if they will also assist us pro-bono in the grant-writing process so that we may do so in a professional and effective manner. I will also apply for assistance in setting up reliable and accurate accounting practices, as we work with multiple currencies from multiple countries. It is MeBO’s goal not only to effectively meet all the legal federal tax filing requirements of both countries, the United States and England, but to also set up a transparent accounting system as feasibly possible, so that all members and grantors can see where the funds are being disbursed. The Community Development Clinic at Florida International University in Miami, Florida is an interdisciplinary program that provides their clients with legal and business assistance as needed to become a nonprofit organization and to operate it effectively. All of us at MeBO Research are most appreciative of the FIU Community Development Clinic reaching out to the community to help non-profit groups who are often unrepresented because of the high cost of legal services. 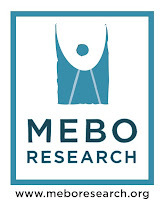 This $800 filing fee should generate a good return on investment, as it is the only way MeBO Research will have the leverage to receive tax-deductible grants from Foundations, since according to their respective by-laws, most can only give to 501(c)3 non-profit organizations. The initial filing fee is almost $100 to register MeBO Research as a company, which should be initiated within a month. Afterwards, it will cost approximately $800 to file for a 501(c)3 non-profit status, a process that will probably begin in August 2010. This $800 filing fee should generate a good return on investment, as it is the only way MeBO Research will have the leverage needed to receive tax-deductible grants from Foundations, since according to their respective by-laws, most can only give grants to 501(c)3 non-profit organizations. Anyone wishing to do so may donate by clicking on the ‘Donate’ button on the sidebar of this blog or on the MEBO website. FIU Law grads passed the Florida Bar at the highest rate in February 2009. FIU Law ranked 8th best value in the U.S. by The National Jurist. FIU Law faculty ranked 2nd most diverse in the U.S.
FIU Law educates highest percentage of Hispanic students in the U.S.